For example, you might wish to calculate the size of a buffer from various other attributes, functions, or parameters. In this example, the source data has a vehicle speed attribute for each point. The data is converted into point features, and the individual buffers are then merged into a single area feature. You want to show areas where vehicle speed is low, to indicate traffic congestion zones. Similarly, in the AttributeCreator transformer, you could create an attribute such as a property’s Taxable Value using an expression such as (@Value(TaxBand) * @Area())/$(AssessedValue). After the transformer is connected in the workspace, this section lists the available attributes. 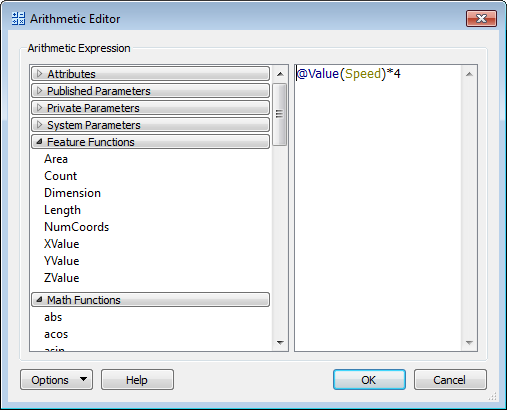 You can use attributes to supply a value for use within the arithmetic expression. This is a list of the published/private parameters (if any) that are in the workspace. 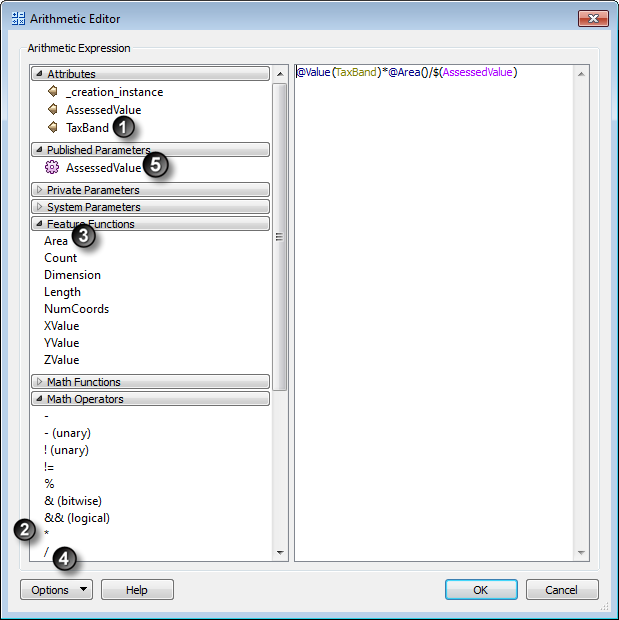 You can use published parameters to supply a user-defined value for use within the arithmetic expression. In some scenarios, FME Parameters may be useful in the workspace. These functions are capable of returning a numeric value, which is substituted into the arithmetic expression where defined. 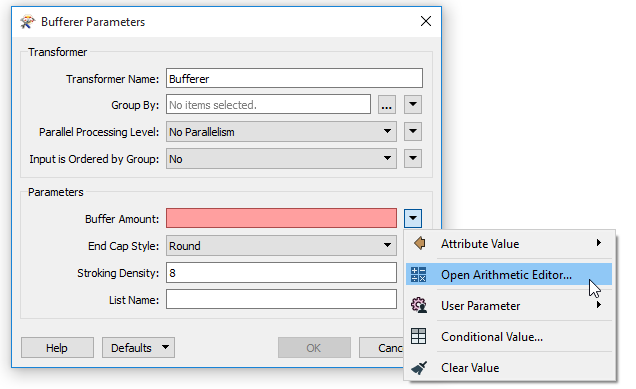 For more information, see FME Feature Functions. For more information, see Math Functions and Math Operators.